In our office, this has been a time to just get some stuff done. Our “To Do” lists were long and getting longer and it was starting to feel like we just kept talking about someday. Last month, we committed a cardinal sin for a Mike Rothschild practice. We CANCELED a staff retreat! If you have known me very long, you realize this is a big deal. I have written, lectured and filmed videos on the necessity of off-site retreats to ensure that the entire team is on the same page and all are motivated to work hard to accomplish the mission. But my gut was just telling me, "Now is not the time." I don't always do what my gut says, but I did this time. Instead we scheduled an in office work day. We asked for everyone’s “buried” lists and compiled a big Master Task List. We itemized, categorized and prioritized, and we went to work. We moved furniture, threw stuff away, painted, sanded, broke and built. Basically, we had a Spring Cleaning. Running a quality practice is not possible without the hard work of a strong, coordinated team. Teams are made of people and people are people. People have concerns outside of the practice and levels of dedication can vary wildly. Situations are always shifting and it is a challenge to keep up with what is always best. The secret to having a strong team that cares is to never stop trying to make your team better. Our staff development "framework" calls for two planning retreats every year. But sometimes, we break that rule if the situation isn’t right. But we always do something! We have training plans, education days, processes, and policy manuals. We give personality tests, performance reviews, salary adjustments and give occasional “prizes.” We have staff parties, attend conferences and facilitate online learning programs. All to try to make the team better. This month’s Building Block will focus on our framework for building a better team. I call the mission and values a foundation, because it is what we build on. It is solid. But a framework needs enough flexibility to bend to the person and to the situation. There is room for improvement AND mistakes. We will deliver a webinar about developing an Orientation program and facilitate an in-depth dialogue about what works in our members' practices. This is a topic that always draws a lot of attention. I am sure this will be no exception. P.S. 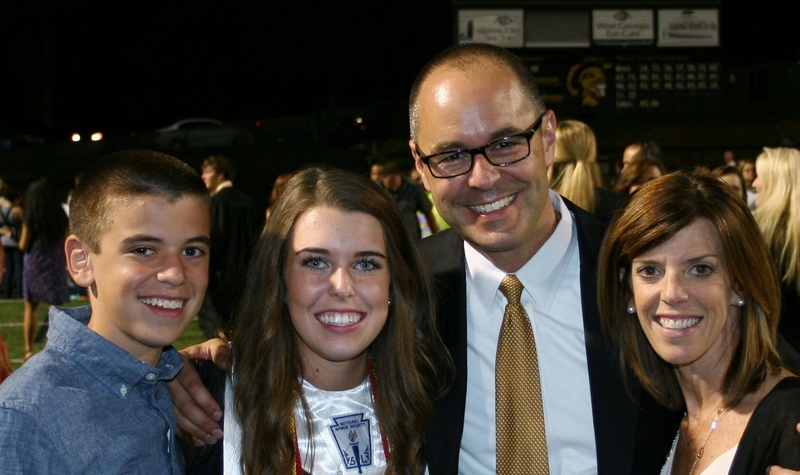 My daughter's high school graduation is stirring up some significant emotions. This singular event has our family entering a new season of life. We have spent a lot of time reminiscing lately and have enjoyed looking back and are trying to get ready for whatever is next. This makes me realize that practices are much like families, that also go through seasons. Understanding this concept helps me realize the delicate nature of keeping it going the best we can.